Taking strong exception to Delhi police Friday’s raid on Chief Minister Arvind Kejriwal’s residence to gather evidence related to an alleged assault on chief secretary Anshu Prakash, Aam Aadmi Party (AAP) on Friday threatened to launch a nationwide agitation against the Bharatiya Janata Party (BJP) for falsely targeting its leaders. 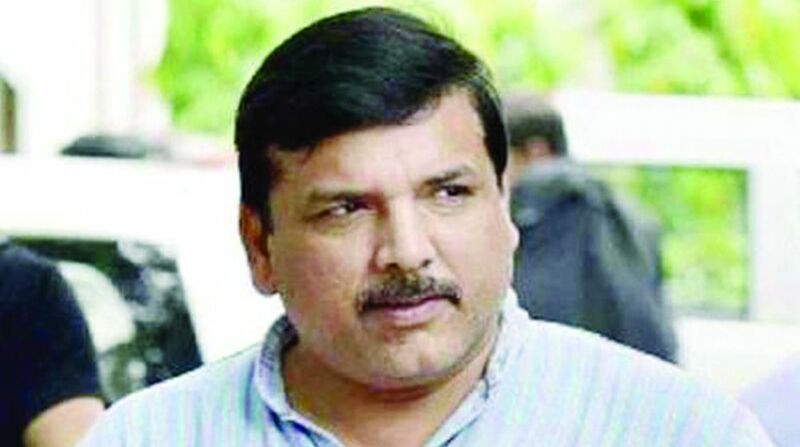 Addressing a press conference, senior AAP leader and Rajya Sabha member Sanjay Singh accused the Delhi Police of acting like a bully by entering the Chief Minister’s residence “illegally” and acting as a mere “puppet” in the hands of the Central Government. “Just on the basis of a complaint of the chief secretary Delhi Police arrested two AAP MLAs, while in another incident a video footage clearly shows the faces of people involved in attack on AAP leaders. They are roaming free,” Singh said. He alleged that it was a ploy of the Centre to discredit the AAP government. Delhi Police arrested MLAs Prakash Jarwal and Amanatullah Khan for allegedly assaulting chief secretary Anshu Prakash during a meeting held at Chief Minister’s residence on Monday night. Both the MLAs were subsequently sent to 14-day judicial custody. AAP also showed a two-and-half-minute clip where senior police officials are seen inside the residence of the Chief Minister, purportedly asking questions on painting of walls. AAP leader Ashutosh said the police team went inside the Chief Minister’s residence only to “humiliate and insult Arvind Kejriwal. Meanwhile, AAP counsel BS Joon said the police raid on CM’s house was “unlawful” as no prior notification was given about the search operation. “No investigation team can raid the Chief Minister’s house without serving notice in advance. But Delhi Police did not follow the rules. It was only after police entered the CM’s house a notification was handed over,” Joon said.